FPS has entered in to an exclusive distribution agreement with NRF with effect from 4th October 2018. NRF recently took the decision to move their business out of the UK, closing their distribution facilities in the process. We are delighted to announce that FPS has entered into an exclusive distribution agreement with NRF with effect from 4th October 2018. 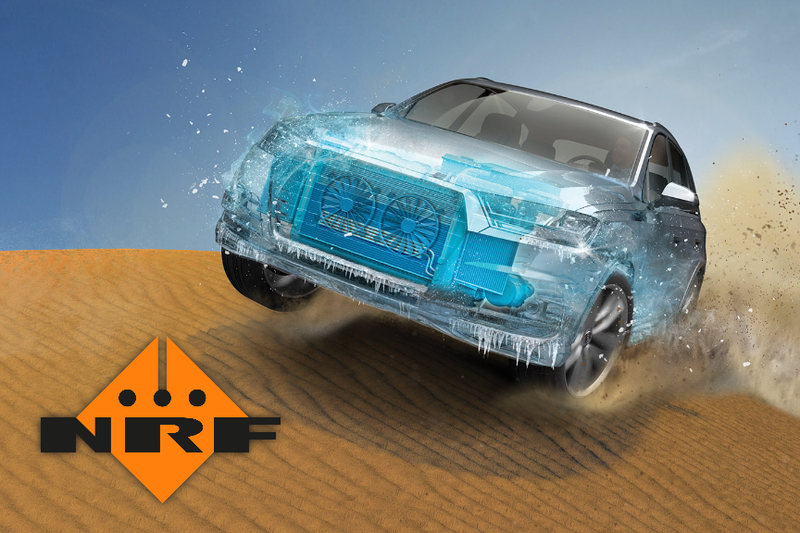 Since 1927, NRF has been a leading manufacturer of cooling products for the automotive market, industrial, rail and marine sector. NRF is predominantly known for producing high-quality radiators, but also produces and supplies a large range of other engine cooling and air conditioning products. On the Engine Cooling side, the range includes Radiators, Intercoolers, Oil Coolers, EGR Coolers, Radiator Fans & Fan Clutches (Viscous Clutches). Within Climate Control, Compressors, Condensers, Evaporators, Heaters, Receiver Driers, Interior Blowers, Expansion Valves & Pressure Switches complete the offer. NRF pride themselves on the quality of their product, and with a range wide enough to complement that quality as well as a competitive price position, the programme is as good as any in the Aftermarket. The range also includes a large Easy Fit range (where the O Rings/assembly parts are included) for air conditioning parts. NRF is the leading manufacturer and supplier of high-quality radiators, known for their excellent performance, high cooling capacity and durability. NRF offers the largest compressor aftermarket range. All NRF compressors have passed extensive durability and performance tests & are filled with the correct double-end capped PAG oil. All NRF compressors are new. For more information contact your FPS representative.